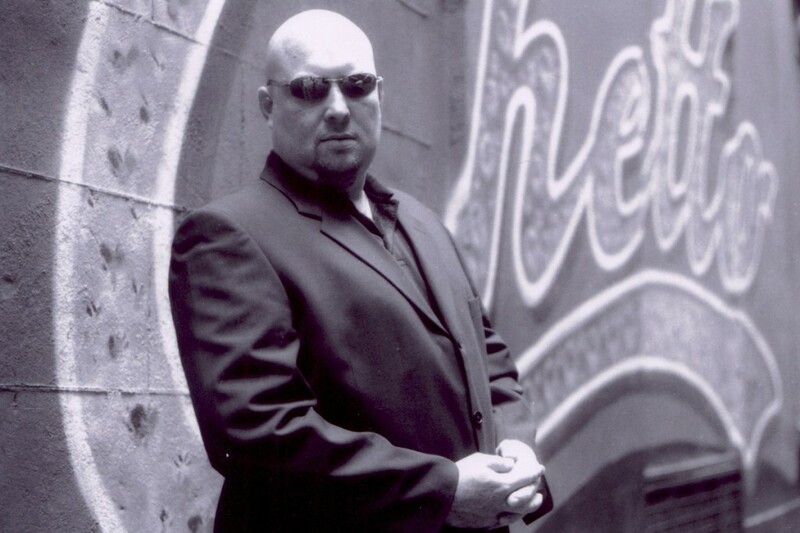 John Pridmore once lived a luxury life of fast cars, faster women and all the money he could spend. However it was all fuelled by guns, drugs and extreme violence, through his work as hired muscle for crime bosses who ruled London’s gangland with an iron fist. After years of burying his conscience under narcotics and piles of dirty money, the six-foot five inch hard man, who would make Phil Mitchell quake in his boots, finally turned his back on crime to “embrace God” following a Road to Damascus rethink of his life. Now the former Cockney kingpin has replaced his knuckle-duster with a bible and tours the globe telling his story in the hope of inspiring people to improve their lives through prayer, no matter what they have done in the past, and to warn of the dangers of gang life. Speaking to the South Belfast News ahead of his visit to the Good Shepherd Church on the Ormeau Road, John recalled how a youth spent in and out of detention centres and prison shaped him into the perfect candidate for a life as a fully-fledged gangster. “I was born and raised in the East End and was 10 when I was told my parents were splitting up,” he explained. By 19, burly John was back in ‘the nick’, this time among adults where violent episodes and rows often landed him in solitary confinement. “I felt like a caged animal,” he continued. Initial tasks involved collecting and driving vehicles loaded with drugs that had been brought into Dover. Soon he found he was earning more money through crime than he could ever make legitimately. Having earned a name for himself as hired muscle who could be trusted to obediently crack skulls first and ask questions later, John came to the attention of one of London’s biggest drug barons. Upon being hired, violence and intimidation was a “daily occurrence” and John recalled how he never left for a day’s work without his trusty machete blade and blinding CS spray. However, at the back of his mind, John felt an emptiness that no amount of drugs or ‘bling’ could fill. “While doing this work, I was really lost, to be honest. Nothing satisfied me, and if I was on my own for any period of time I’d start to get suicidal thoughts so I kept busy. In a last ditch bid to rescue himself from a life in the underworld and its inevitable conclusion in prison or death, he reconnected with his mother, and through her, his Catholic faith. John knew he had to escape, and sought help from a trusted accomplice. Meanwhile, at a funeral for another gangland figure several years later, John returned to speak at the pulpit, where he came face to face with old faces, who were still embroiled in crime. John’s incredible tale is now the centre of a bidding war in Hollywood with producers seeking to turn his story into a movie. He revealed to the South Belfast News that Guy Ritchie, famous for directing cockney gangster flicks including ‘Lock, Stock and Two Smoking Barrels’ is keen to make John’s life the focus of his next project. In the meantime, John continues to spread the word in his own unique way, offering himself as an example of how anyone can rediscover a life of good deeds, no matter what their past. Having spoken to child soldiers in Liberia who killed their own parents, to addressing half a million people in Sydney on World Youth Day, he revealed he has a special fondness for visiting Belfast when he can. John will be at Good Shepherd from Monday February 6 to Friday February 10 and will be speaking each day at morning sessions at 10pm, and evenings (excluding Friday) at 7.30pm.